Well I have to say I’m really relieved to finally receive the book! It’s all as I hoped it would be and I’ve been busy posting out all the pre-orders which should drop through your letterboxes in the next few days. 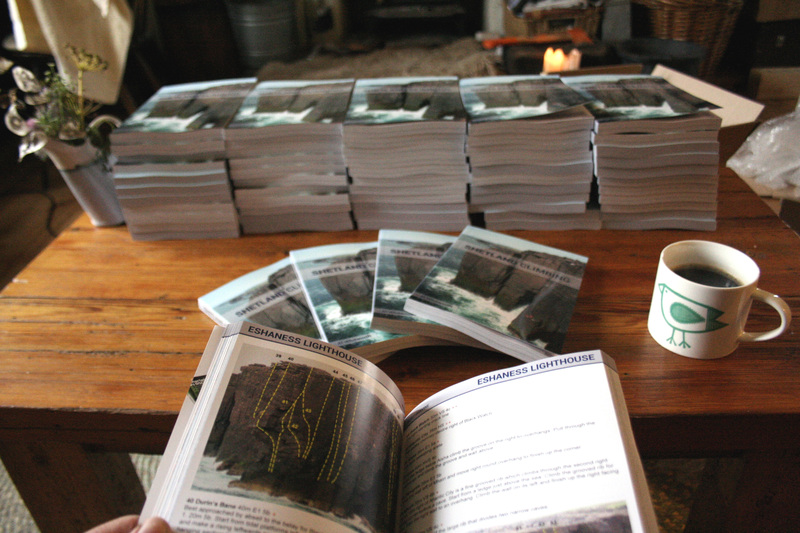 It was a massive task to get the book out and I’m really grateful to everyone that helped out supplying photos, route information and proof reading – couldn’t have done it without you! I hope you enjoy the book and it serves to further develop the climbing in Shetland. The guidebook page now has a 10-page preview to the guide if you haven’t got a copy. If you have any comments on the guide then please add them to the Guidebook page. It’d be great to get some reviews on Amazon too so if you have a spare moment, head to the book page and write a few words on what you think (you don’t need to have bought it from Amazon). Now time for a glass of wine (or two).